The search for life in the universe has far-reaching effects, as it would bring into question our place as humans in the cosmos. The sheer size of the universe and the wide range of environments we find species in on Earth make it highly plausible that we may find life within the various conditions present on other planets and moons in our solar system. 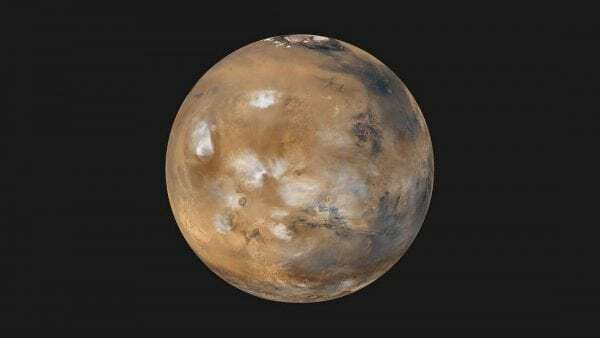 The proximity of Mars, along with evidence of liquid water flowing on its surface, has made it highly popular for various studies and missions looking for signs of life. While the presence of liquid water is necessary for all life on Earth, remote sensing of planetary atmospheres, such as the martian atmosphere, has detected gases that can also be indicative of biological processes. One of these gases, methane, has been detected in the martian atmosphere and could indicate the presence of life. The lifetime of methane in an atmosphere is about 300 years, which means that the ongoing detections require recent replenishment, which could possibly signify a biological origin. On Earth, methane is produced through metabolism by microorganisms called methanogens. Methanogens are members of the domain Archaea, and they utilize hydrogen (H2) and carbon dioxide (CO2) to produce methane (CH4). Methanogens contain a number of characteristics that make them ideal candidates for studying life under martian conditions. Methanogens are non-photosynthetic (meaning they could exist in subsurface environments), anaerobic (they do not require the presence of oxygen), and they do not require organic nutrients (which means that they do not require other living organisms to grow). Methanogens also represent some of the earliest life forms that evolved on Earth, which could be the same for Mars’ early history, when the planet was warmer, wetter and likely, more hospitable. Additionally, certain methanogens are classified as “extremophiles” in terms of their tolerances to temperature, pressure, and salt concentration. Although Mars currently seems inhospitable to life – the planet is cold and dry – there may still be relatively habitable locations on the planet, specifically in the subsurface. Unlike Earth, Mars has a very thin atmosphere and no ozone layer. Thus, the surface of Mars has no protection against harmful UV and ionizing radiation. If life happened to evolve on Mars at some point in the planet’s past, the planet’s subsurface may provide the best respite. Although Mars is currently cold and dry, there are environments on Earth where microorganisms would be exposed to these extremes – for example, the McMurdo Dry Valleys of Antarctica or the Atacama Desert in Chile. One environmental factor present on Mars that is unique to the planet, however, is low pressure. On Earth, surface pressure averages 1 bar (1000 mbar); on Mars, the surface pressure is only about 6 mbar – about 1/100th that of Earth’s. There are no locations on Earth where organisms would be able to evolve to low pressure. For example, the pressure at the top of Mount Everest is 330 mbar. Microorganisms can be exposed to low pressure in Earth’s atmosphere, at an altitude of about 20 km. Bacteria and fungi have been detected at these heights in the atmosphere, but these locations likely don’t constitute permanent ecosystems. Recent experiments conducted at the Center for Space and Planetary Sciences at the University of Arkansas have tested the ability for methanogens to survive low-pressure conditions, ranging from 6 mbar (the average surface pressure on Mars) to 143 mbar. These experiments utilized four species of methanogens: Methanosarcina barkeri, Methanobacterium formicicum, Methanococcus maripaludis, and Methanothermobacter wolfeii. These methanogens have been studied as candidates for life on Mars by Dr. Timothy Kral at the University of Arkansas for over twenty years. “Low Pressure Tolerance by Methanogens in an Aqueous Environment: Implications for Subsurface Life on Mars” features seven experiments testing the survival of the four methanogens at low pressures. Survival was monitored by measuring the methane production of the methanogens following exposure to low pressure. Experiments 1 – 4 exposed the methanogens to pressures between 33 mbar and 143 mbar for time periods between 6 to 11 days. Cultures containing the four methanogens measured significant methane following exposure to low pressure, indicating that the methanogens were capable of surviving exposure to those pressures. Experiments 5 and 6 incorporated pressures more closely resembling the surface pressure of Mars: Experiment 5 consisted of 3 days’ exposure to 6-10 mbar and Experiment 6 consisted of 5 days’ exposure to 7-20 mbar. In both experiments, cultures of all four methanogens produced methane following exposure to low pressure, indicating that the methanogens were capable of surviving the exposure to low pressure. In all of the experiments, methanogens were grown in their liquid medium (a broth containing vitamins and minerals needed for growth). One of the consequences of low pressure is the rapid evaporation of liquid water. This factor limited the length of the experiments. Experiment 6 lasted a couple days longer than Experiment 5 because this experiment utilized a simulant regolith (sterile dirt meant to resemble the dirt on Mars) as a diffusion barrier – this regolith sat above the culture medium slowed the evaporation of water. In the seventh experiment, a different method was used to expose the cultures to low pressure for a longer period of time. In this experiment, the cultures were exposed to 50 mbar for 21 days. The test tubes remained sealed under low pressure so that evaporation didn’t occur, allowing for the longer period of exposure. Similar to the previous results, the four methanogens all produced methane following exposure to low pressure for 21 days. 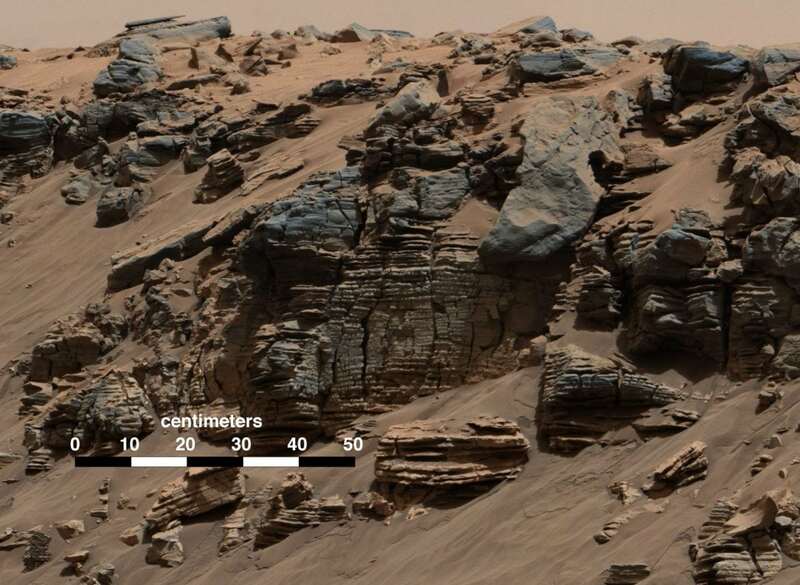 Although these experiments included pressures higher than the average surface pressure of Mars, these pressures may still be possible in the martian subsurface, where more habitable environments exist. Transient liquid water is seen at the surface of Mars in the form of recurring slope lineae. These are dark streaks that appear on the surface of Mars and likely consist of very salty water. These streaks appear seasonally and are thought to form from aquifers in the subsurface. This indicates that there is a mobile water column that is moving up and down in the martian subsurface as the seasons change. As this water column moves at varying depths, the pressures it encounters in the subsurface would also vary. As this is a source of liquid water, albeit very salty, this water column could house microorganisms such as methanogens. Additional experiments into active growth at low pressure and exposure of methanogens to other martian conditions are ongoing at the University of Arkansas. This study, Low Pressure Tolerance by Methanogens in an Aqueous Environment: Implications for Subsurface Life on Mars, was recently published in Origins of Life and Evolution of Biospheres. Rebecca L. Mikol is currently an American Society for Engineering Education (ASEE) Postdoctoral Fellow at the US Naval Research Lab. She received her Ph.D. in Space and Planetary Sciences from the Arkansas Center for Space and Planetary Sciences at the University of Arkansas in August 2017. Her graduate research focused on microbiology, specifically, methanogen growth and survival under martian conditions.